Consuming recreational marijuana at work is and will remain illegal. Study's show that 71% of employers still aren’t equipped for managing marijuana in the workplace. With October 17th quickly approaching, the time to get your policies and practices updated is now. All employers have a duty to protect the health, safety and physical and psychological well-being of their employees. Safety should always come first. This duty is set out in various legislation, such as the OHSA and the Charter of Human Rights and Freedoms. 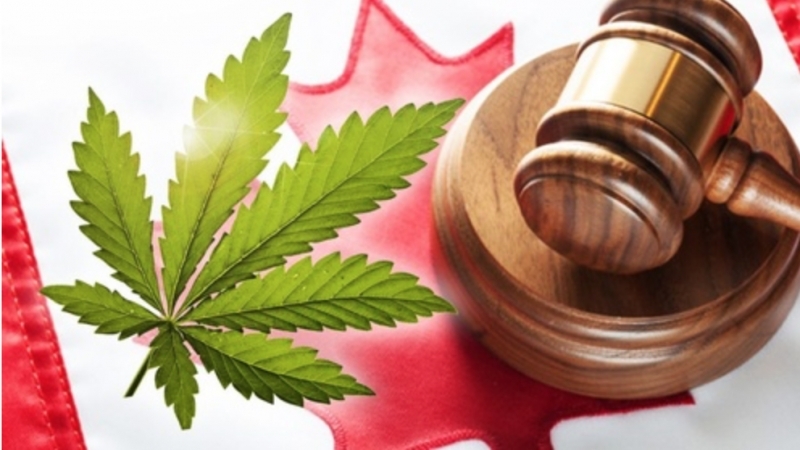 Employers retain management rights to apply a policy prohibiting the possession or use ofillegal and/or recreational drugs, including cannabis, in the workplace. An employer may also adopt a policy of “zero tolerance,” justifying issuing severe penalties, even up to termination of any worker violating this policy. This policy should be explicit, unambiguous, rigorously applied and clearly communicated to employees to validate imposing of any penalties. Even in the absence of such a policy, an employer may penalize an employee who shows up for work under the influence of or in possession of illegal and/or recreational drugs. In this situation, the disciplinary action will depend upon the degree of danger presented by the employee’s actions. The courts generally impose a more severe penalty when an employee’s actions have endangered or could have endangered the health and safety of other employees or a third party. Employees are required to perform their work with care and diligence; in other words, according to the rules laid down by the employer. Employees must comply with any policy respecting the use or possession of illegal and/or recreational drugs in the workplace. Even when such a policy is lacking, all employees must comply with the universally applicable rules of law. An employee may therefore, be subject to criminal charges for impaired driving, possession or trafficking of drugs, or for actions performed in the workplace. In addition, under the Criminal Code, everyone who undertakes or has the authority to direct how another person works or performs a task is required to take the necessary steps to prevent bodily harm to that person or any other person arising from that work or task. Employees who fail to comply with an employer policy on the possession or use of illegal and/or recreational drugs in the workplace are first subject to disciplinary action, ranging from a simple verbal notice to termination. For any penalty provided for under the policy, employees must have previously been informed of it. The policy must also be uniformly applied. In the absence of such a policy, the employer may impose appropriate disciplinary measures, taking into consideration aggravating as well as extenuating circumstances. Trafficking and use of illegal and/or recreational drugs in the workplace are generally considered serious breaches of an employee’s obligations and lead to severe penalties. Best practices include making workers aware of the issue, educating managers, and introducing and communicating a clear policy. Measures on cannabis use and the resulting penalties can readily be integrated into a general policy on the consumption of alcohol, medication and drugs in the workplace. The policy should thus be tailored to reflect the reality of your organization. The first step is to conduct a hazard assessment of the potential impact of impairment due to cannabis use in your organization. The policy must clearly express the company’s position; that is, whether your organization will tolerate use of any substance that can cause impairment up to a certain point, or whether it will opt for zero tolerance. The reasons supporting your position, the means of application and the steps that will be taken to ensure policy compliance should also be determined. Your policy should provide concrete examples of what will not be tolerated and include possible penalties to be applied for non-compliance. It should cover all forms of consumption (dried cannabis, creams and lotions, edible products, etc. ), distinguish medical cannabis from recreational cannabis, since they will be treated differently, and take into account the possession of these products in the workplace. Lastly,good communication is essential to the understanding, acceptance and monitoring of the policy.